We specialize in providing a space for our clients to love it so much they never want to leave. With an emphasis on personal approach and a well-developed process for projects, our clients choose Artisan Tile for our attention to home design, incorporating unique details, integrity and our personal attention to every client relationship.I know that remodeling takes saving up and this means sacrifice in other areas of our lives. We have options available to meet every need. I truly care about making sure my clients have what they envision in their homes and working with them to make that vision come true. 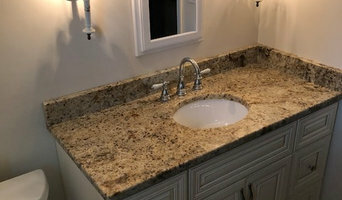 For over 25 years, we have been building additions, remodeling bathrooms and kitchens, creating outdoor living spaces and more in Connecticut and other areas in New England. We believe in great communication and letting our customers know all the details as the project progresses. We welcome the opportunity speak with you about your upcoming projects. 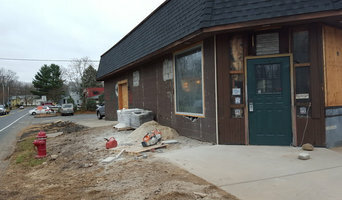 Phoenix Total Home Improvement of Shelton, Connecticut you can get a professional Kitchen, Bathroom or Basement remodel. For your convenience we also offer handyman and painting services for any size project. Locally owned & operated so you can count on us for quality and value whether its a, cosmetic fix, or you are ready to remodel your kitchen or bathroom. Most work is completed by Owner operator Adam Zuckerman but he also has a staff of quality and reliable services professionals that you can count on. Make sure that you are maximizing your home’s potential with a kitchen or bathroom that you’ll love, and will substantially increase the value of your home. Remodeling, concentrating on kitchen, bath and millwork, but including all aspects of home improvement and repairs. 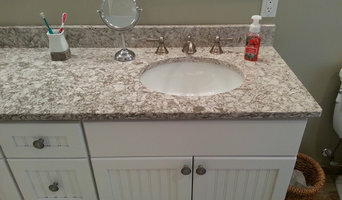 House of Hanbury Builders, Inc.
Full service remodeling firm established in 1976 providing design, through installation of kitchens, baths, home offices, rec rooms and other interior remodeling. Additions, add a levels, dormers and garage conversions are designed to fit the existing space and architecture seamlessly. Anything you need to improve your living environment, we can help. Complete residential and light commercial construction, remodeling and repairs. Hartford's Kitchen & Bath Remodelers - Visit our Newington Showroom! We are a full service design build firm specializing in whole house remodeling, kitchens, baths, & general renovations. We can provide a full range of design services, FEMA mitigation services, project management, & general construction. Accent Building and Accent Kitchens is more than just a cabinet wholesaler offering factory direct discount pricing on all types of cabinetry and casework. We are a full service construction company with over 25 years’ experience in all types of residential and commercial construction projects. We are ready to perform your most detailed project including additions, kitchens, add-a-levels, media rooms, basement remodels, garages, barns, office fit-ups, restaurants, tree-houses, etc. We can even build your energy star home or LEED certified building. Accent provides quality construction services in Hartford County, Litchfield County, New Haven County, Middlesex County and parts of Fairfield County. We also go out of our way to make it easy for you! How, do you ask? We bring the showroom right to the convenience of your home or office! Just use our request a quote form to schedule a meeting and get your project started today! At Kitchens and Baths by Herzenberg, our long-standing credo and commitment to our customers has always been founded upon our desire to produce Innovative Designs, provide only Quality Products, offer Exacting Expert Installation and maintain an Unshakable Commitment to Customer Service. Established by Jerry and Helen Herzenberg way back in 1949, we’ve always provided two ways to work with us: 1- A full service approach, or, 2- A design & materials-only approach. We take great pride in our long-standing reputation for dependable, beautiful work, along with our innovative design and decorating techniques. Back in the 50’s, Jerry and Helen Herzenberg were the featured front-page cover story on the very first edition of Kitchen Business Magazine, which is still publishing and still the leading kitchen industry trade magazine. The kitchen industry was brand new in 1949 when the showroom was across the street from our current location, and we are still in touch with service projects from that time! Helen’s artistic touches and Jerry’s beautiful designs were locally famous and some people even put our name in the description when selling their homes. When it comes to home improvement and remodeling, Fajardo Construction is here to take care of your every need. As a local Stamford company, we have worked on many homes throughout New Haven County and have been recognized for our superior attention to detail and personalized service. We specialize in a wide variety of residential contracting services, from full kitchen remodels to exterior wood siding, we will help create your perfect home. Our contractors carefully listen to your requests and develop a plan to make sure you get exactly what you want - no job is complete until you are satisfied with the end result. Inside N Out Construction Corporation is a privately owned company offering high quality workmanship based on generations of European family craftsman. Our business success is measured one job at a time, focusing on detail and the uncompromising use of top-line materials. Our precise workmanship is revealed in the final product. A specialty of Inside N Out Construction is kitchen and bathroom design, fabrication and installation. Our unique ability to expertly and effectively manage all of the details associated with the design and material selection process, separates us from the rest. Instead of interpreting your plans and following a template, we partner with you throughout all phases to create the space you envision. We brainstorm ideas until you are confident in the interpretation of your ideal space. We work closely with you on every detail until your vision comes to life. For more than 20 years, Jon has served Western Ma. He has built strong client relationships by exceeding expectations and providing unmatchable accountability. "We believe quality is never an accident. It is always the result of high intention, intelligent direction, and skillful execution. It represents experience, wise choices and sincere effort." Homes are where memories are made, therefore it is our honor to give you our best! Our goal is to create lifelong clients and help each client make good choices. We do this simply by designing and building each project as if it were our own. We answer all questions in detail and give a solid plan, taking future projects into consideration. Big or small, we streamline the construction process with flawlessly organized project planning and an actual time-line that you can count on! Full Service General Contractor specializing in structural repair, antique home restoration and foundation repair. JC Merritt, Inc. is a knowledgeable company that specializes in structural repairs and foundation work, as well as antique home renovations. We pride ourselves on the personal, ethical service we provide our customers, and helping them get a product they love. + Shoreline Restoration + Antique Home Renovations + Structural/Foundation Repair + 24/7 Emergency Service Our service areas include New Milford, Washington, Roxbury, Fairfield, Westport, Stamford, Greenwich, Norwalk & more.